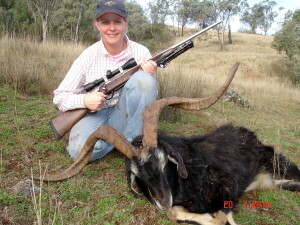 The majority of my hunting is with a rifle although I recently took up bow hunting. 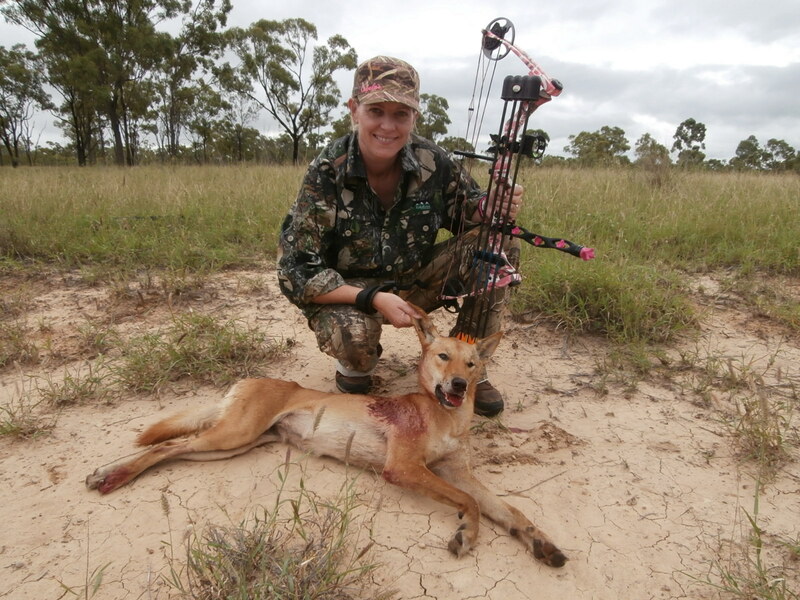 I believed bow hunting would provide me with a greater challenge but it did raise a question. Would I be patient enough? 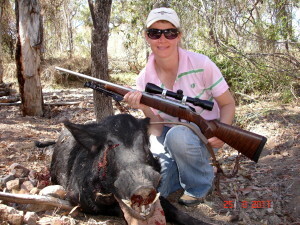 I have also hunted pigs with dogs. I find this very rewarding; the results of training are witnessed first-hand, watching them at work, on the ground and off the back of the ute or even the quad bike. 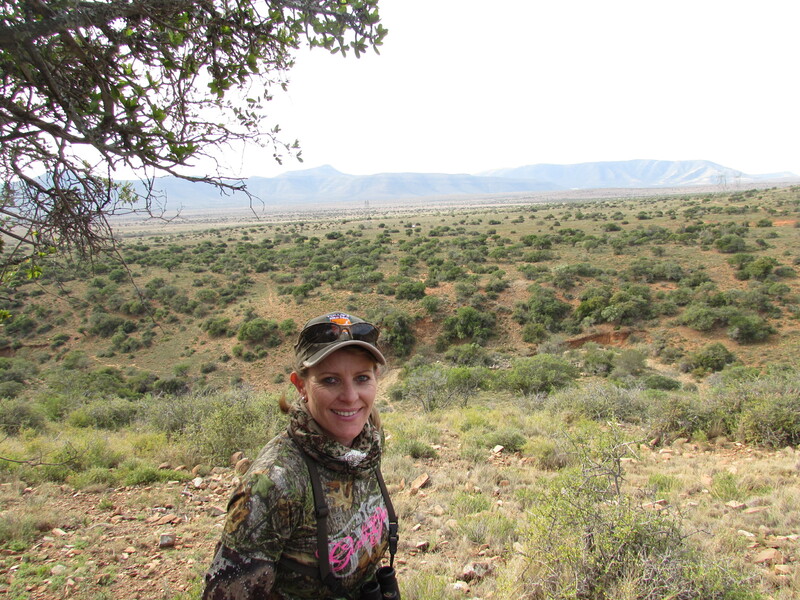 Since recently returning from South Africa where I was invited to participate as one of six women to hunt for the filming of “Heart of the Huntress” I have an even greater desire to shoot more long-range shots! 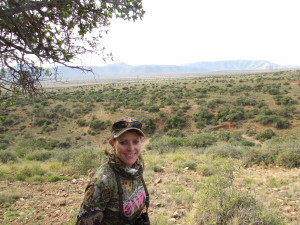 Favorite place to hunt: Up in the mountains, it is hard work but very rewarding. 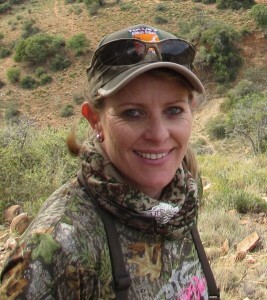 Most memorable hunting moment: Gees, it is hard to pick out just one. Each and every hunting trip has its own memorable moments. An awesome weekend away with friends, there has been plenty of them. Being able to enjoy the wide open spaces and if there is a trophy to take home that is always an added bonus. One trophy I am pretty proud of is a feral goat taken while out getting firewood. The unexpected happened and I could not resist! Who has had the biggest influence on the way you hunt and enjoy the outdoors? From an early age I had a love for the outdoors. I grew up on a property just west of Gloucester and as a kid I used to hunt rabbits and go ferreting. I loved camping and walking through the bush but it was when I met my husband Matt that my passion for hunting really took off. Matt is a passionate hunter and his drive encouraged me to get more involved. 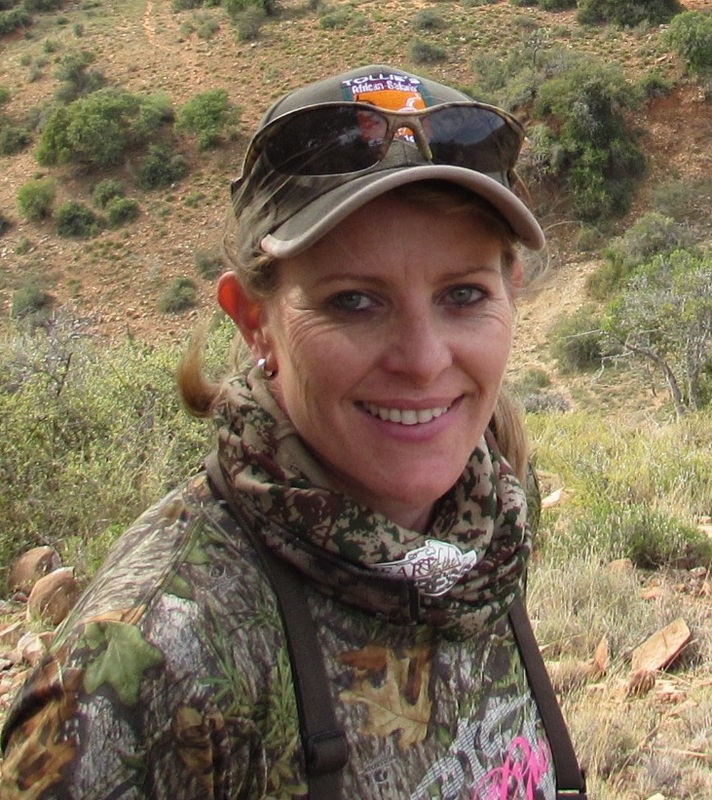 He has supported me in hunting and has provided much encouragement along the way. I have the confidence to hunt on my own and know that I am able to make the right choices. My passion for hunting has become stronger and I am confident in sharing my experiences with my friends, family and the community. The Cape Buffalo. Although I have not hunted a Cape buffalo it is definitely on my bucket list. One of the Big 5 in South Africa, the Cape buffalo is a very robust species and one that has very few predators. I believe it would be a very rewarding but challenging hunt giving much consider to the environment and landscape where it likes to roam. What is your current hunting outfit? 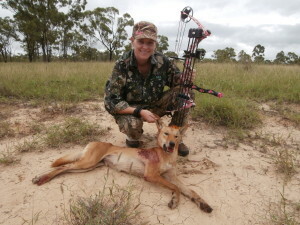 I wear Hunter Element and Prois women’s hunting range but have done plenty of hunting in my trusty Old Jeans! !